Many people may consider summer to be the best season for a road trip, but if a person can take a few days off, autumn is the perfect time for a short road trip in Washington State. The leaves on the trees are changing to beautiful red, orange and yellow hues. The weather is usually perfect for a drive in the car. Since summer is over, one will not need to blast the air conditioner greatly saving in fuel consumption costs. Additionally September and October are often snow free in many parts of Washington State, except at mountain regions, so many outdoor activities can be enjoyed before it gets winter cold. At this time of year tourist season is in its shoulder season, meaning better discounts at hotels and attractions compared to the busier tourist season in the summer. With some supplies including a good map of Washington State an autumn road trip can be an enjoyable way to spend a short vacation. The most important part about a road trip is making sure the vehicle is in good road trip condition. If a person is planning to take a vehicle he or she owns that vehicle should be looked over by mechanic to make sure that it is road ready. Alternatively one can rent a vehicle, which will likely be inspected before being rented, but will add an additional cost to the road trip. Make sure to check that anyone who is driving will be covered under the vehicle’s insurance policy. Having an emergency vehicle kit, including a spare tire and jack, can come in handy on the road. Many people might want to invest in an automobile club membership in case a vehicle emergency like flat tire or a mechanical failure occurs. While many people will want to rely on their smartphones or a GPS for navigation having a hard copy map of Washington State is important since cellphones and GPS units can lose reception and battery power. Next comes the planning. A person can take out their map of Washington State and start thinking of ideas and routes on where to go. Do you want to explore the pacific along the Peninsula and Coastal region? 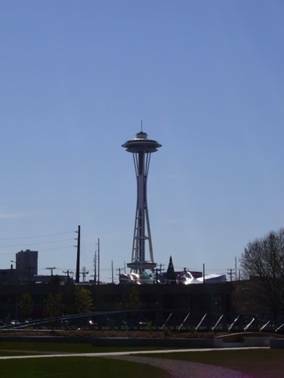 Do you want to spend time exploring cities like Spokane and Seattle? Maybe you would like to visit Washington’s wine region or scenic outdoor parks? There is a lot to do in Washington, and sticking to one region for a short road will mean more time to see and explore in the state. Using websites like Gas Buddy and Travel Math can help give estimates of the fuel cost for a road trip. If you are traveling with other people make sure to include everyone in on the planning so everyone will be able to choose an activity or attraction he or she wants to do. Also be sure to take into account everyone’s budget for the trip to make sure everyone will be able to afford his or her portion of the road trip. Above all make sure to have fun and enjoy the autumn road trip in Washington State.